Some art exhibitions practically scream at you while others reward a closer, more patient scrutiny. The ten artist group show, The New Verisimilitude, curated by François Ghebaly, and shared between Culver City’s François Ghebaly Gallery and West Hollywood’s M+B, actually does both. Examining how contemporary artists re-present reality, each work delivers the immediate punch of a seemingly recognizable object, while at the same time calling attention to either the laborious back story of its creation and/or the materials that were employed in the process. 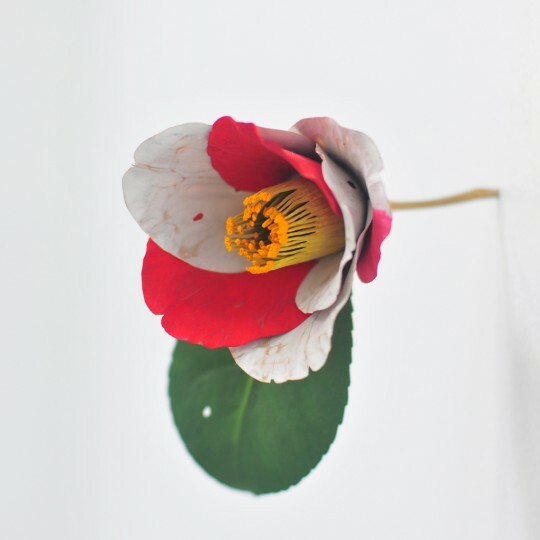 Highlights include: Japanese artist Yoshihiro Suda, who carved and painted a single piece of wood to render a gorgeous, delicate flower which is placed as if popping out of the wall. The piece suggests not only the reality of a flower and an ethic of delicate craftsmanship, but the enchanting and upbeat possibility that intense moments of beauty could possibly show up anywhere and at any time. 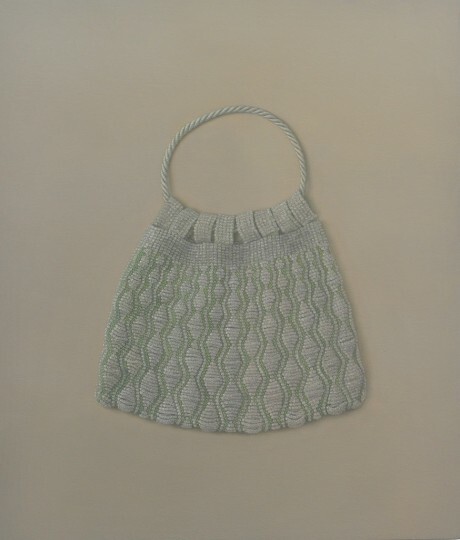 Argentine-born painter Victoria Gitma‘s oil-painting of a purse is more than just a representation of the beaded, desirable consumer object it portrays. 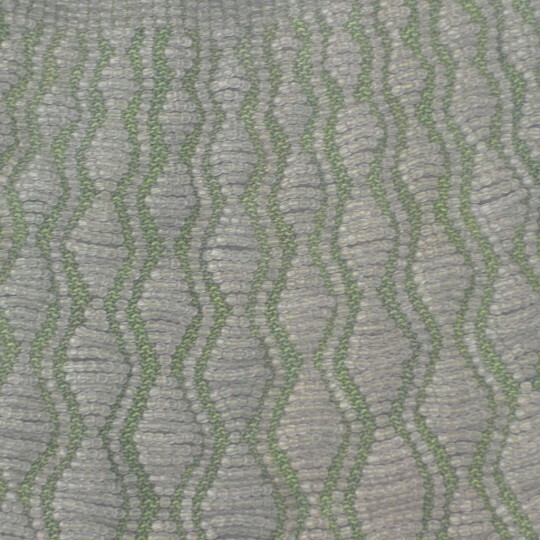 It is a painstaking exercise in replication – with each and every bead carefully rendered in paint. Somehow her contribution transcends its surface and hovers somewhere between a representation and the object itself. And Berkeley born, Los Angeles resident, Isaac Resnikoff, delivers a stack of chairs, carved from a huge piece of wood. A representation of neither an object of beauty nor of consumer desire, but instead a portrayal of the sort of thing that fills a storage closet taking up space until needed for a practical purpose – the piece nevertheless calls attention to its laborious creation – playing against the cold anonymity of the objects that it represents.